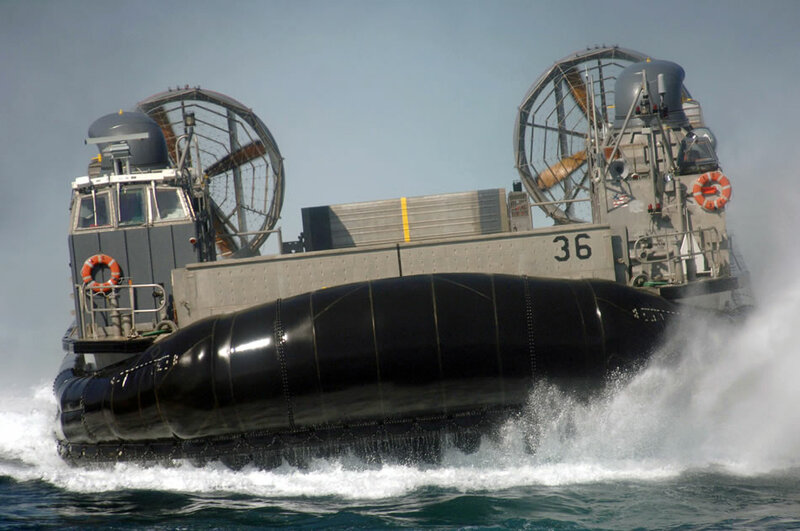 Indian Ocean (Jan. 26, 2006) - A Landing Craft Air Cushion (LCAC), assigned to Assault Craft Unit Four (ACU-4), makes a final approach to embark aboard the dock landing ship USS Carter Hall (LSD 50). Carter Hall and ACU-4 are currently on deployment conducting maritime security operations (MSO) in support of the global war on terrorism. U.S. Navy photo by Photographer�s Mate 2nd Class Michael Sandberg.